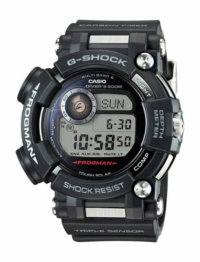 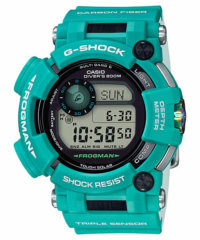 When talking about the ultimate all-digital G-Shock watch, the Frogman is always part of the conversation. 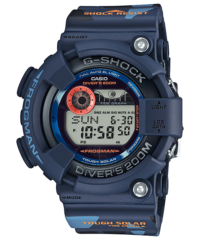 It lost some ground recently to the feature-rich and value-minded Rangeman and is now more of a prestige watch than a practical choice, but to many fans it will always be Casio’s flagship G-Shock. 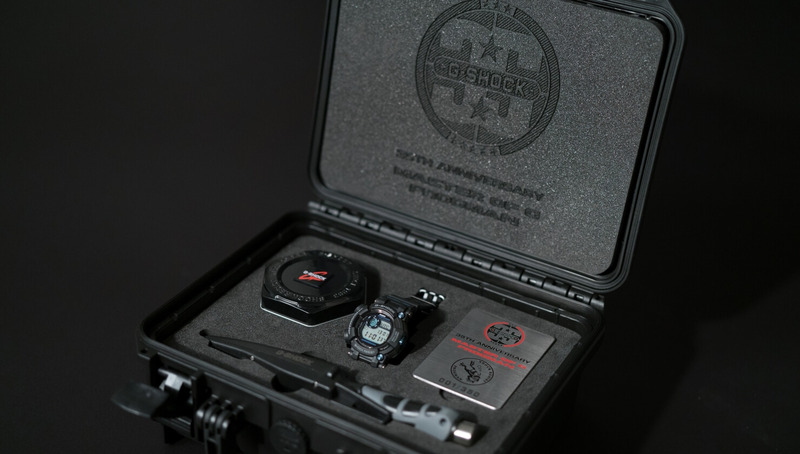 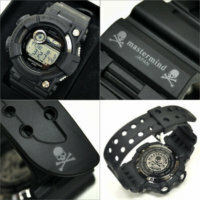 The made-in-Japan Frogman has a reputation as one of the best built G-Shock watches and its limited edition models tend to have the most value as collectibles. 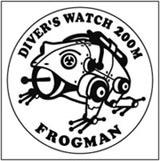 The Frogman line has a rich history that goes back to the early 1990s. 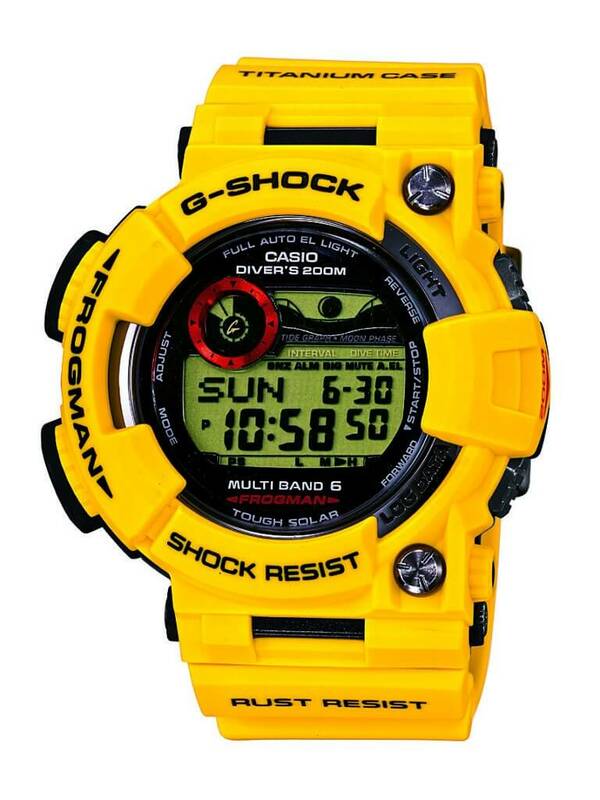 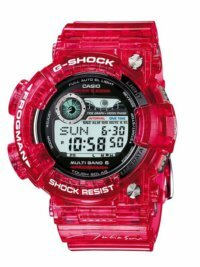 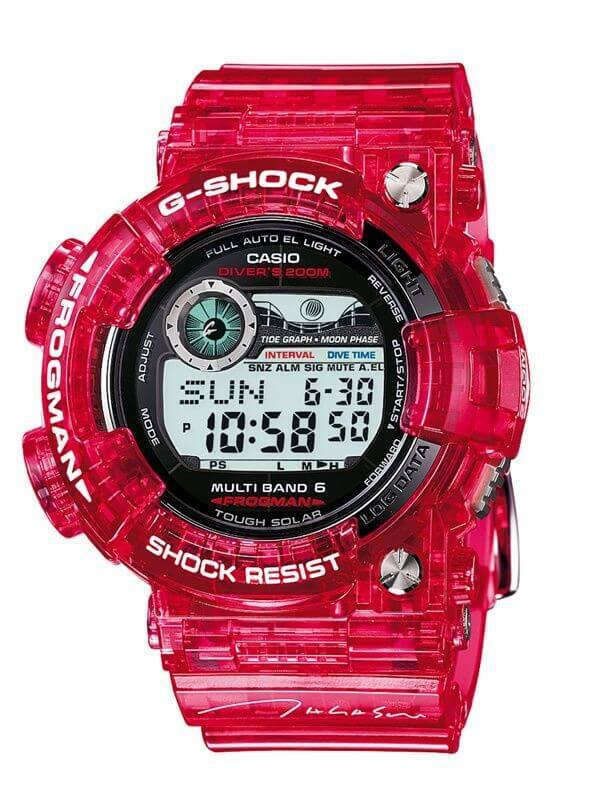 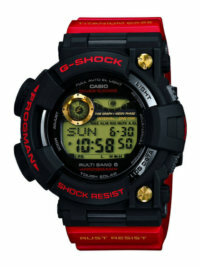 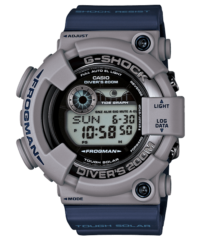 It was always known for being the lone ISO-compliant diving watch in the G-Shock lineup, having a screw-lock case back, and an extra-large, asymmetrical design. 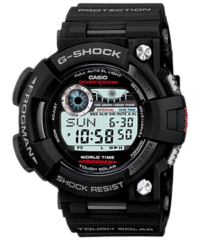 Those qualities live on in the GWF-1000 and GF-8250 models with stainless steel replacing the titanium cases of the previous generation, and they also have Tough Solar power, a tide graph, and moon age data. 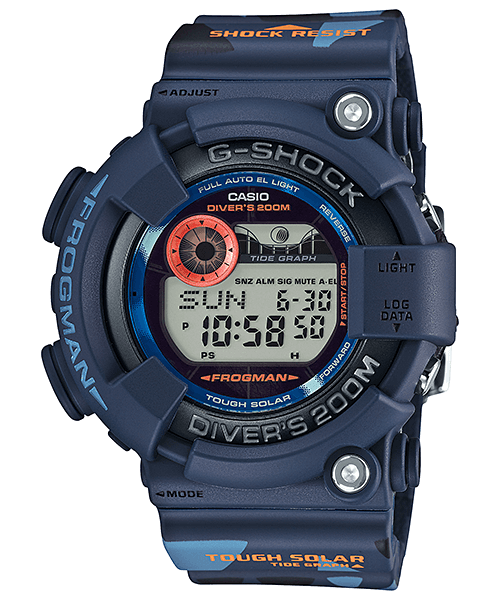 The GWF-1000 adds Multi-Band 6 radio wave timekeeping for the first time and has a DLC (diamond-like carbon) coating on the case back for rust and corrosion resistance. 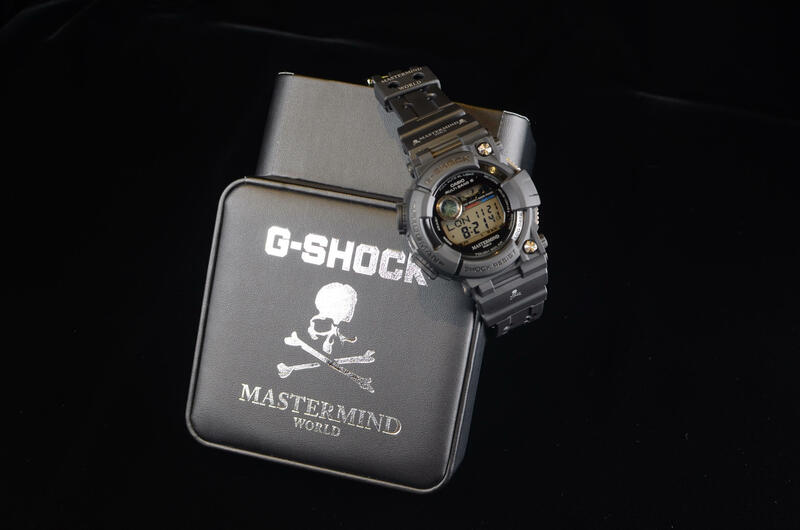 The size of the GWF-1000 is 58.3 x 52.8 x 18.0mm and the GF-8250 is 52.0 x 50.3 x 18.0mm. The list price of the GWF-1000 is $700 and the latest GF-8250 model was $530. 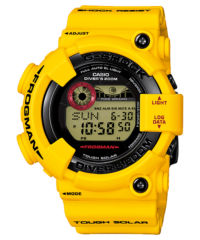 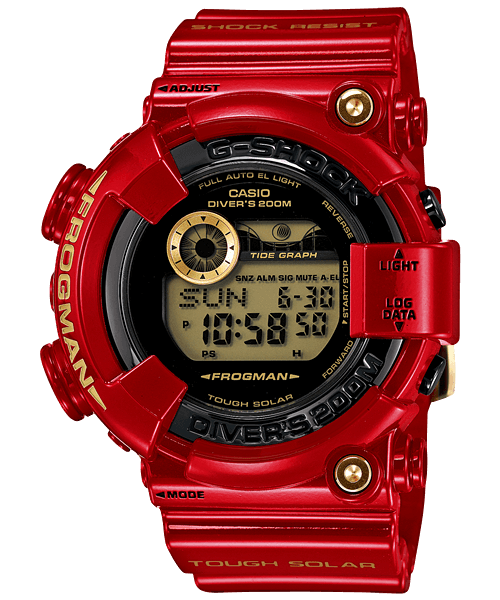 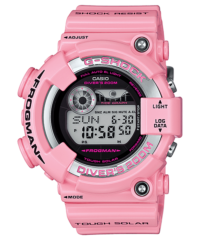 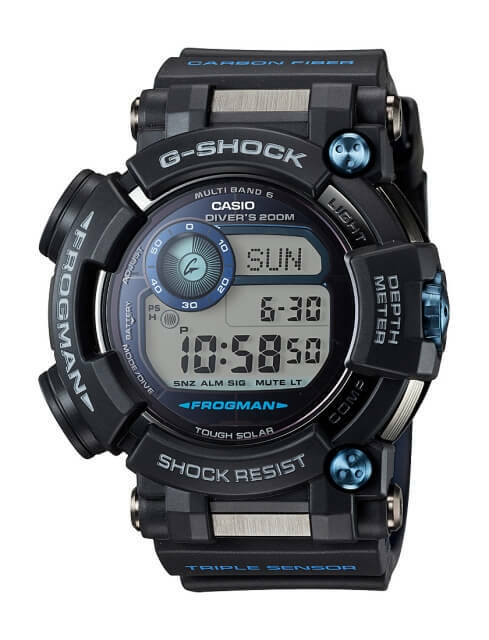 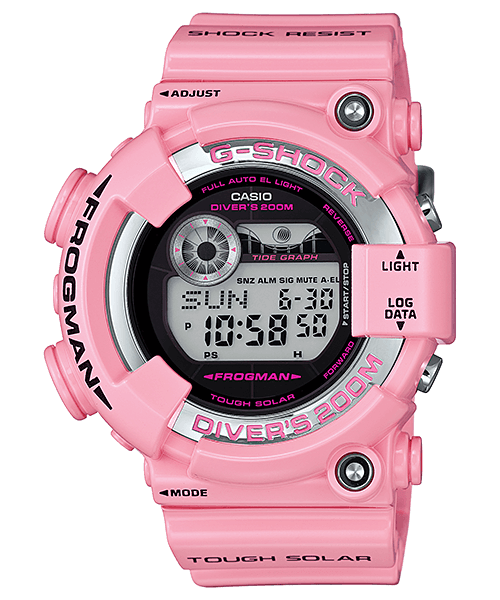 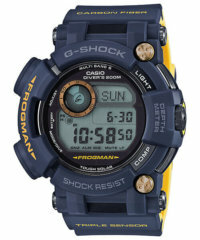 With the GF-8250 series, Casio seems to be continuing the limited-edition Frogman tradition of the GW-200 series, though on a less frequent basis. 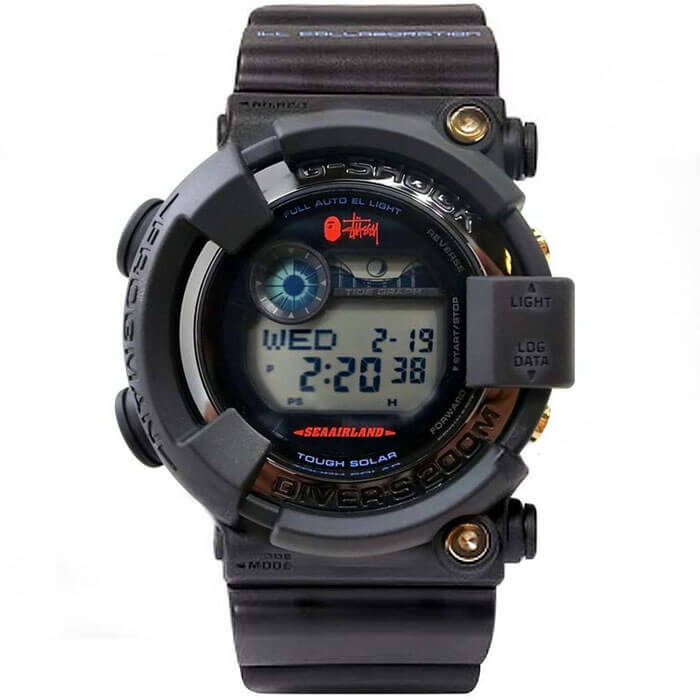 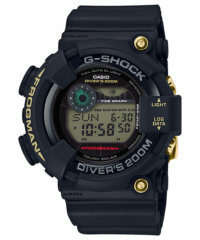 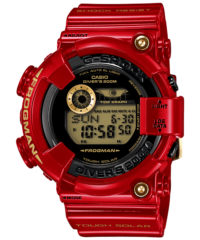 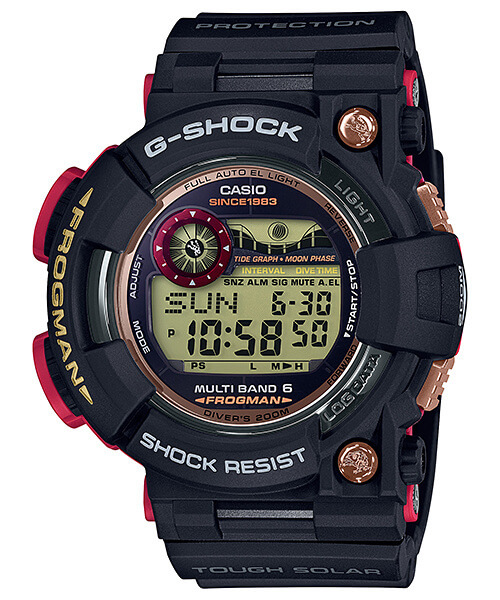 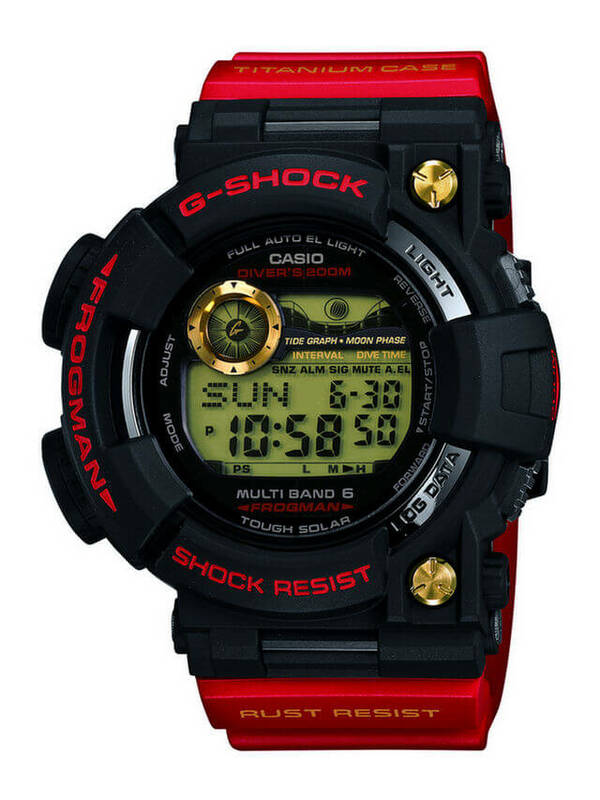 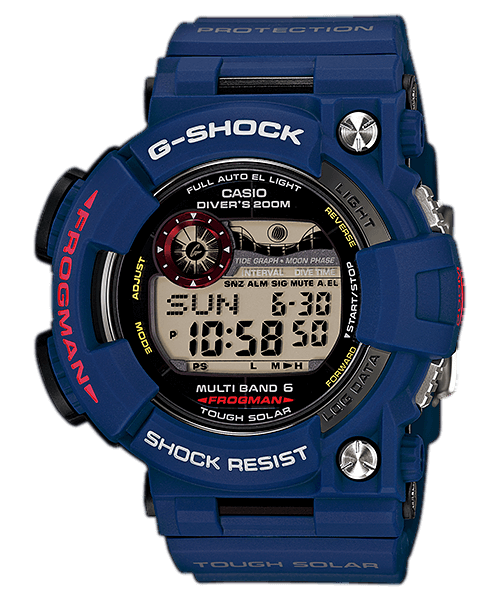 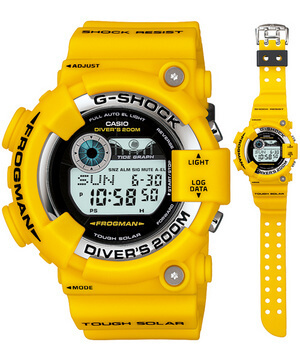 While the standard GWF-1000 Frogman looks like it was inspired by 1995’s second-generation DW-8200 Frogman (but goes a lot bigger with the outer resin case), the GF-8250 is more of a direct revival of that model. 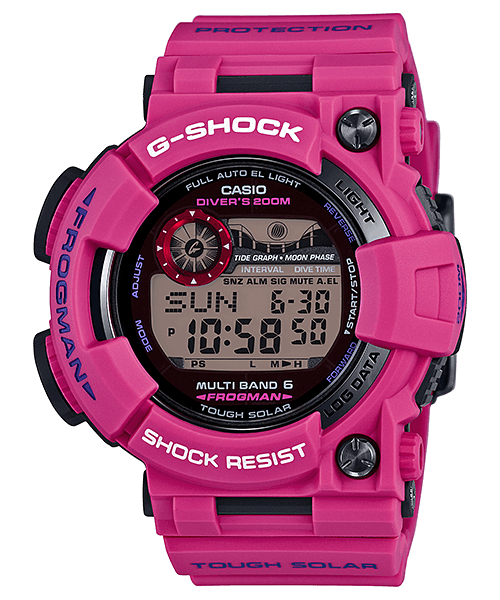 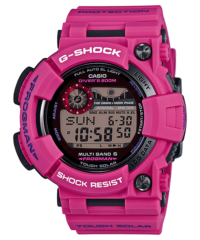 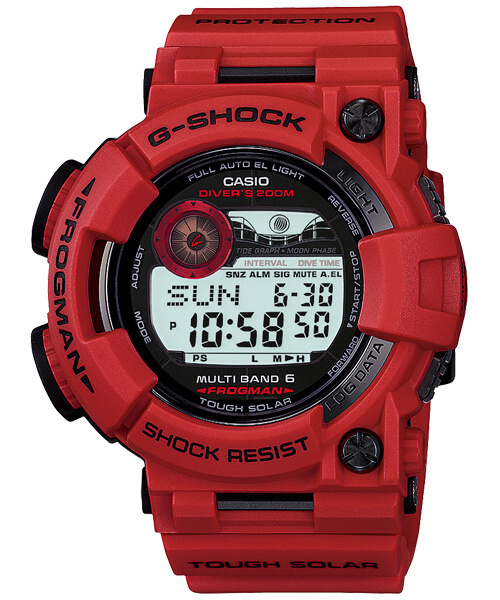 Like the GWF-1000 it adds size and heft but remains very similar to the DW-8200 with the engraved G-Shock logo on the exposed stainless steel bezel and similar shapes and angles on the resin case. 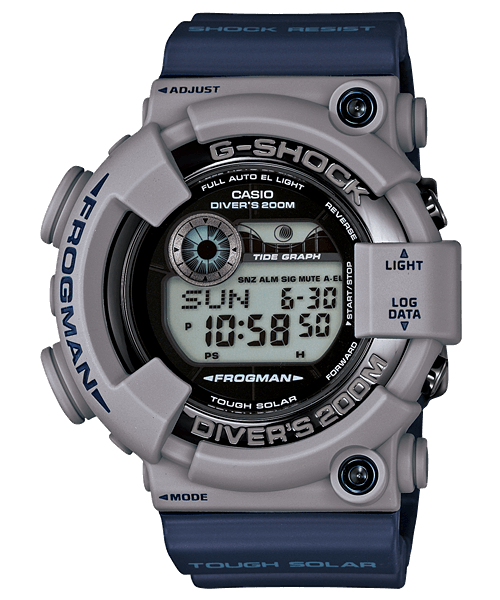 Update: In 2016 Casio released the GWF-D1000 Frogman, which retained a similar design as the GWF-1000 and added a water depth meter, compass, and thermometer. 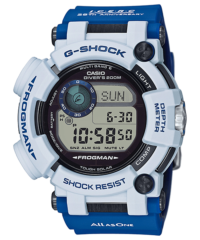 Billed as a Triple Sensor watch, the GWF-D1000 does not have an altimeter/barometer pressure sensor like other Triple Sensor G-Shock and Pro Trek watches. 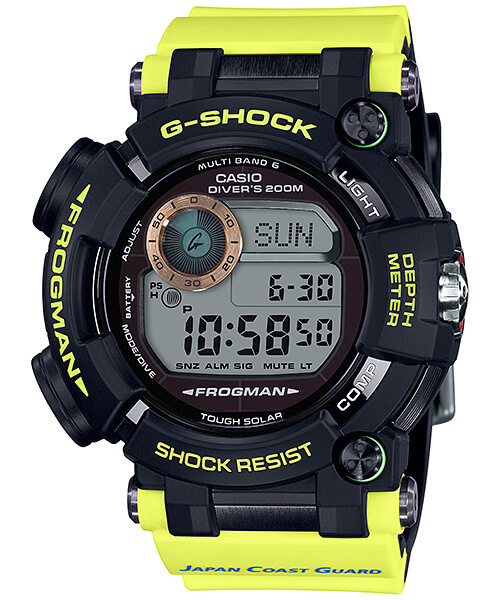 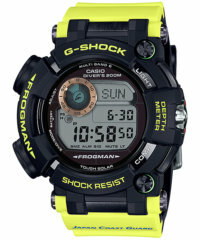 The GWF-D1000 is the largest Frogman yet and measures 59.2 × 53.3 × 18 mm. 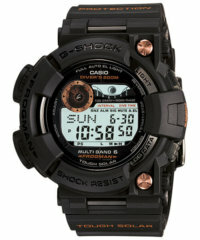 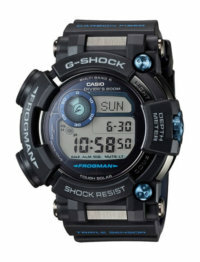 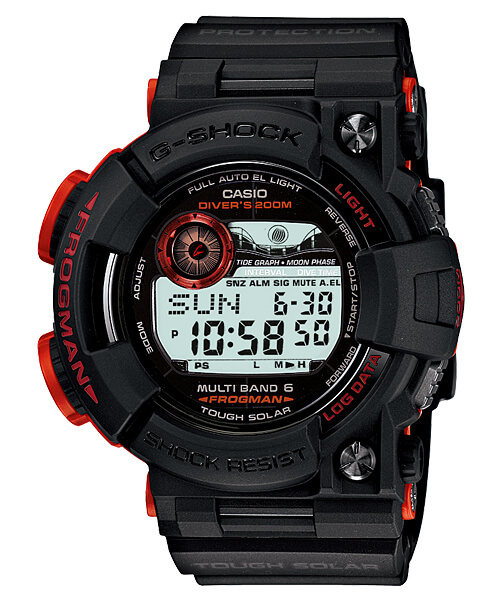 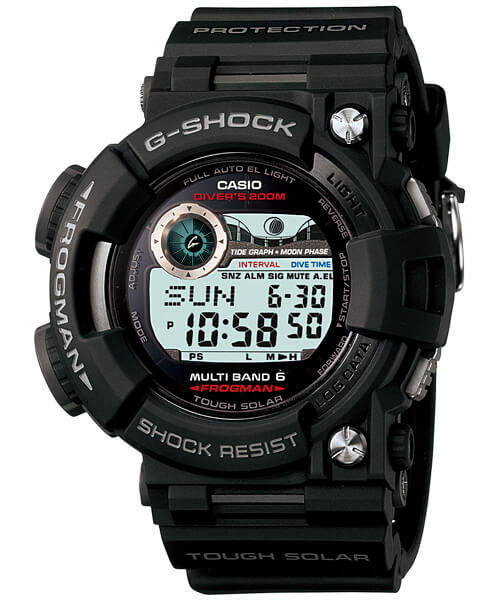 Casio America released the GWFD1000B-1 with a list price of $1,050. While the GWF-1000 appears to still be in production, it looks like the GF-8250 has been retired. 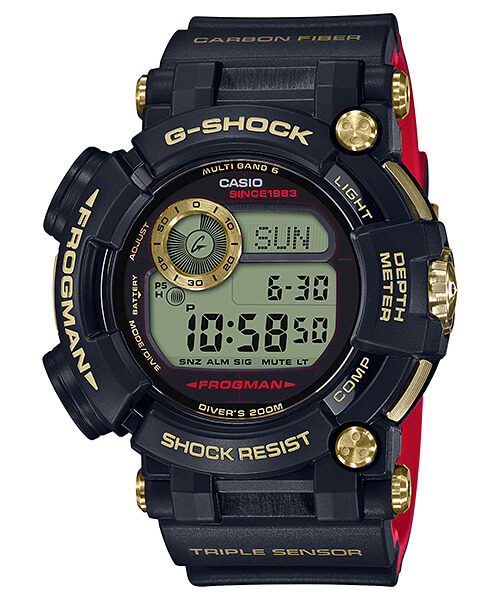 Here are all the GWF-1000, GF-8250, and GWF-D1000 Frogman models ever released starting with the most recent. 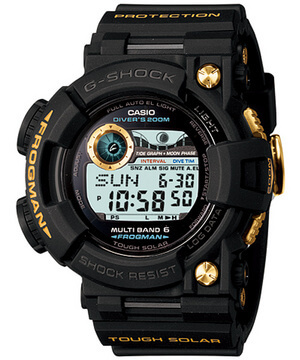 Japanese model numbers are used for consistency though many of the models were released internationally. 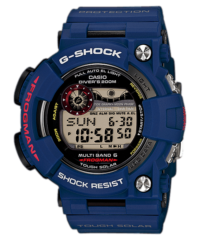 This page will be updated as more models are released. Ebay links are included for convenience, but the older limited edition models are most likely unavailable.